Goldcorp (NYSE:GG,TSX:G) might be regretting taking over Kaminak Gold and with it, the proposed Coffee gold mine, as the slowly turning wheels of the Canadian environmental assessment process grind forward. Local media Yukon News reported on Friday that the Yukon Environmental Socio-Economic Assessment Board – the territorial body responsible for environmental assessments – has stopped assessing the proposed Coffee mine because Goldcorp did not adequately consult with First Nations governments affected by the project. “Having carefully reviewed the information in Goldcorp’s proposal as well as the comments provided by the Tr’ondëk Hwëch’in and Selkirk First Nation, the executive committee is of the opinion that Goldcorp has not met its obligation to consult in relation to those First Nations and the First Nation of Na-Cho Nyak Dun,” Yukon News quoted from the July 12 YESAB report. Tr’ondëk Hwëch’in says the company didn't give the group enough time to respond to technical documents, allowing only two weeks between Feb. 23 and March 8. But Goldcorp says it was forced to rush through the consultation process having been given a March 31 assessment deadline. Despite Goldcorp having changed the design to reduce the the number of waste rock facilities from three to one, in response to concerns from the band about water quality, “Goldcorp did not meet its obligation to consult with Tr’ondëk Hwëch’in in that it did not provide TH with notice of the mine design changes in sufficient form and detail, did not give TH a reasonable period of time to prepare its views nor an opportunity to present its views on those changes,” YESAB wrote. 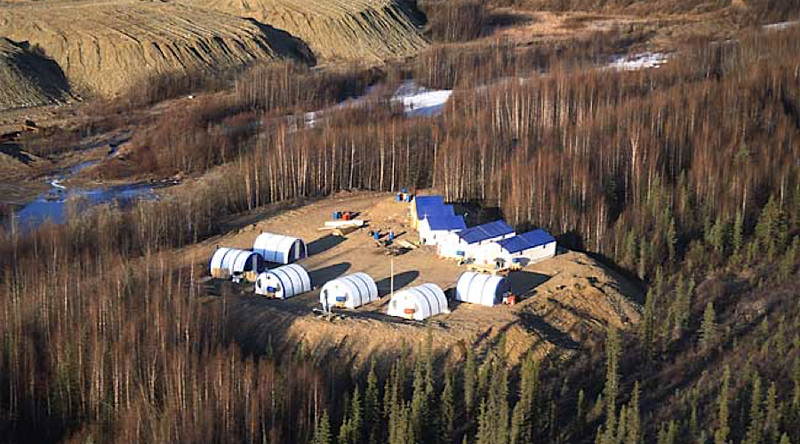 Goldcorp finalized the acquisition of Vancouver junior miner Kaminak Gold a year ago, in a deal valued at $520 million. Kaminak became a prime takeover target after it announced a feasibility study on its high-grade Coffee Gold project in the Yukon that suggested the mine would be paid for in just two years. Coffee is expected to produce about 200,000 ounces of gold per year for about 10 years. Since the takeover Goldcorp has filed 19,000 documents on the mine to YESAB; the documents became open to the public in May.